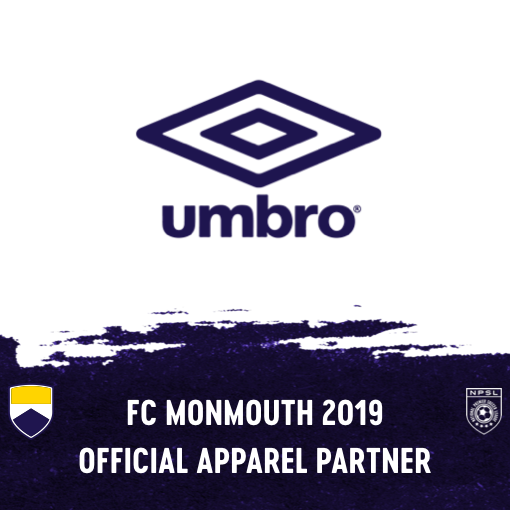 Red Bank, NJ - FC Monmouth is proud to announce Umbro as our apparel partner for the 2019 season. With 95 years of heritage, Umbro is the most authentic football (soccer) brand in the world and the only football-only brand. The Umbro family stretches across the four corners of the football world and the ‘Double Diamond’ is worn on and off the field with pride by players and fans alike. Headquartered just outside of Manchester, England, Umbro was founded in 1924. In the English Premier League alone, clubs Everton FC, West Ham United FC, AFC Bournemouth, and Huddersfield Town AFC currently wear Umbro. Championship sides Hull City AFC, Derby County FC, and Blackburn Rovers FC sport the brand. The German Bundesliga’s FC Schalke 04, Werder Bremen, and FC Nürnberg as well as the Eredivisie’s PSV Eindhoven wear Umbro, amongst many others across the globe. Wherever there is football, there is Umbro - since 1924. We provide apparel, footwear and equipment for all players and fans of the game - and also for those inspired by the vibrant culture surrounding football. Umbro has recently partnered with exciting designers to deliver unique lifestyle collaborations celebrating the DNA of the brand. Recent collaborations include: Christopher Raeburn, Henry Holland, SweetSKTBS, Patta, Vetements and Off White. Umbro is one of 30 consumer brands owned by Iconix Brand Group. For additional information on Umbro’s storied history, visit https://www.umbro.com/en-us/about-umbro/.